A celebration amongst family and friends calls for a fun bottle of bubbles. Fortunately I had a pretty good excuse this month as one Saturday I happened to get married to a lovely chap. Only a couple of days later I also welcomed my little nephew into the world. It was a pretty busy week, to say the least. All this celebrating meant various forms of bubbles were consumed. 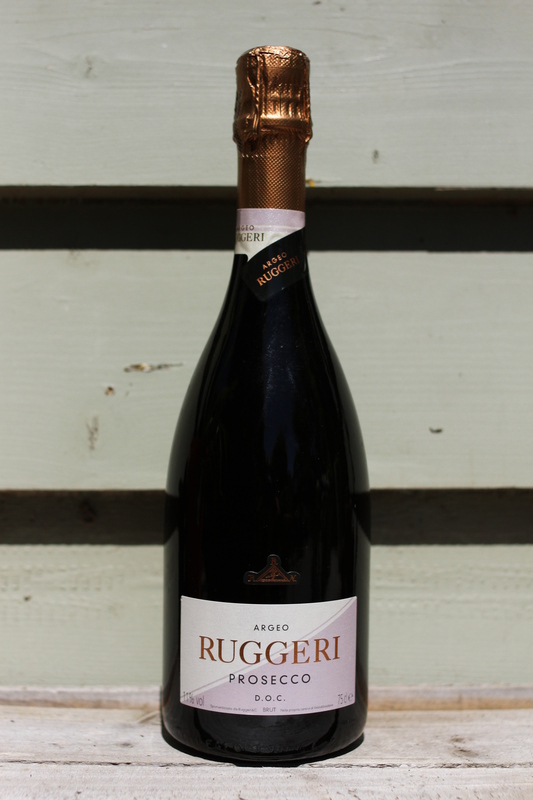 Outside of the obvious choice of Champagne, this bottle of Prosecco from Ruggeri in the north-east of Italy stood out for its drinkability. Ruggeri is an award-winning winery run by Paolo Bisol, son of the founder of the company as it exists today. This Prosecco is the base wine in their range, but rest assured that it still stands at the D.O.C quality level. Prosecco is not the most flavoursome beverage, but this example pours with a very soft froth into the glass and immediately offers floral aromas with hints of honeysuckle and apple candy. The prettiness of the nose suggests a sweeter taste on the palate, however it is super fresh with a chalky texture and wonderfully dry finish. Being a Brut style of wine means that this Prosecco can have up to 12 grams per litre of residual sugar. While the numbers may mean nothing to the average punter, this is actually at the lower end of the sweetness scale, which explains the noticeably dry finish. If you are seeking a Prosecco with a little more fullness then seek out ones with ‘Extra Dry (12-17g/L)’ or ‘Dry (17-32g/L) on the label, despite their names suggesting otherwise. Oh the confusing world of Prosecco. I say let’s just drink and be merry.